If you're about to seek approval for a mortgage, you'll want to ensure you have a solid credit score and clean financial records to boost your likelihood of being approved. There are certain characteristics that lenders want to see in a mortgage applicant before they agree to give a loan, and you want to prove that you're a responsible borrower. But certain behaviors can easily tank your application and crush your home ownership dreams. Before you seek approval, make sure your finances are in order. Avoid these three mortgage-killing habits while your lender evaluates your loan and you'll quickly find yourself holding the keys to your new home. It can be tempting to start buying furniture when your mortgage is about to be approved, but you're better off waiting on the shopping trip until after you get the green light from your lender. Using a significant amount of your available credit – or applying for new credit – will impact your debt-to-income ratio and change your credit score. You might even end up getting yourself a higher interest rate or reducing your credit score to below the qualifying range – so don't go credit-crazy until after you're approved. Payment history makes up one third of your credit score, so you'll want to make sure you pay all of your bills on time and in full if you're looking for a mortgage. A single 30-day late payment on a bill can easily knock 50 to 100 points off your credit score. Even worse, some lenders require a full year of on-time payments before they'll even consider you for a mortgage. Co-signing on a loan is generally risky under any circumstances, but if you're trying to get approved for a mortgage, taking on liability for someone else's debt will change your debt-to-income ratio. Being on the hook for a debt you don't own makes you look like a risk to lenders – if the primary borrower on the loan you co-signed stops making payments, you'll need to pay the loan, and that could divert your cash away from your mortgage. 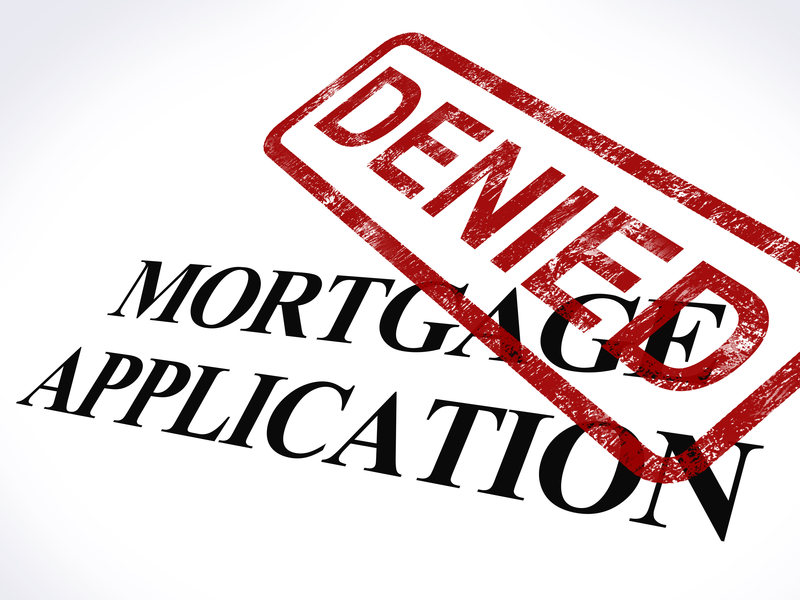 Getting approved for a mortgage is a critical part of the home buying process, but too many would-be homeowners torpedo their own chances of getting a mortgage by making poor decisions. Contact a mortgage professional near you to learn how you can give yourself the best possible chance of getting approved for a mortgage.